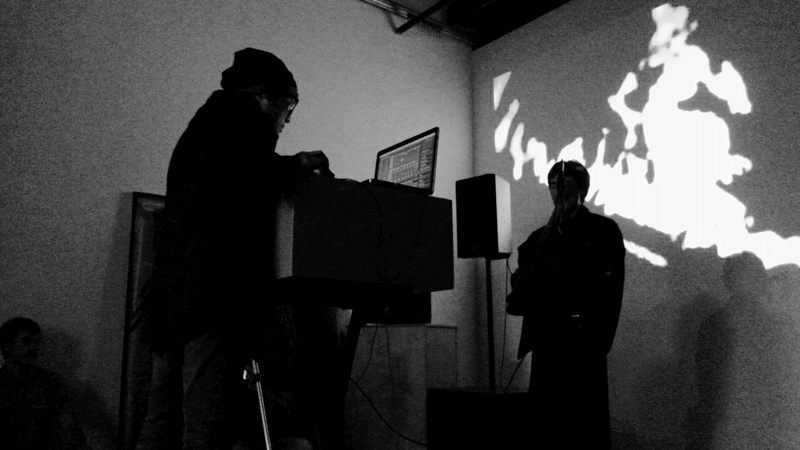 Banetoriko had a live performance at A Noisy Solstice. This event was organized by unsound.com, Gil Kuno. I played at Riverside the day before, so I was a little tired. But I think I had most emotional play I have ever had. Here’s the new video! The yokai of the night was Iyaya. Not so much information is left about this yokai. 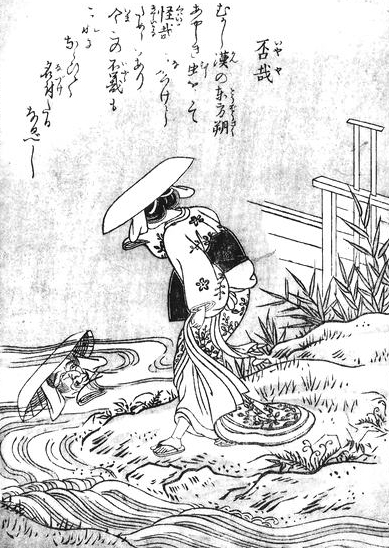 This yokai is said to Sekien’s (the yokai drawing artist in Edo era) creation, but it’s very uneasy image. What does she feel watching her reflection on water? And what does that sluice mean? I felt this yokai was talking to me. So I was her medium that night. I always feel purified after Banetoriko’s live. That night was also the case. This time is not under The Haters, but as GX. 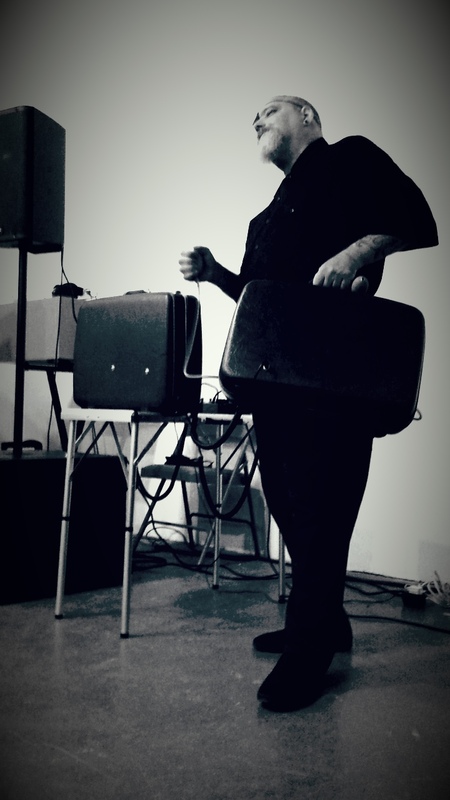 The picture shows his latest noise-instrument, which is pumping suit case! His repeating style of noise is the summit of all repeatist are looking for. I felt like I heard noise like heartbeat a little bit. This image shows indisputable ultimacy of his style of noise. The next is Telecaves. Duo by two beautiful women. This is one of my favorite band, As their name refers, their moody noise can be described only as sound of tele-caves. The texture is so beautiful. Their noise-scape of underneath the earth which is processed by many effects, guitar, musical saw, and others is unlike anything I have heard before. It’s crawling and echoing in inner-cave and outer space. To listen their sound, click here. I don’t have their photo from that night, so this picture is the one from the live at The Handbag Factory in May. This is Kuno-Kano, by Gil Kuno and Shoshi Kanokohata, who is a shakuhachi player and ceramic artist. They created subtle and profound sound-scape by processing sound of shakuhachi with the computer. When it comes to noise and shakuhachi, I instantly think about Organum. However, Kuno-Kano’s yugen (subtleness and profoundness ) was not that kind of. As Kio Griffith’s video projection shows, I felt slow heat rising up. The final act was Damion Romero. He brought his own PA system. The low-frequency pulse engulfed the entire place, resonated, and the whole room became one instrument. Powerful. I wanted to listen more. 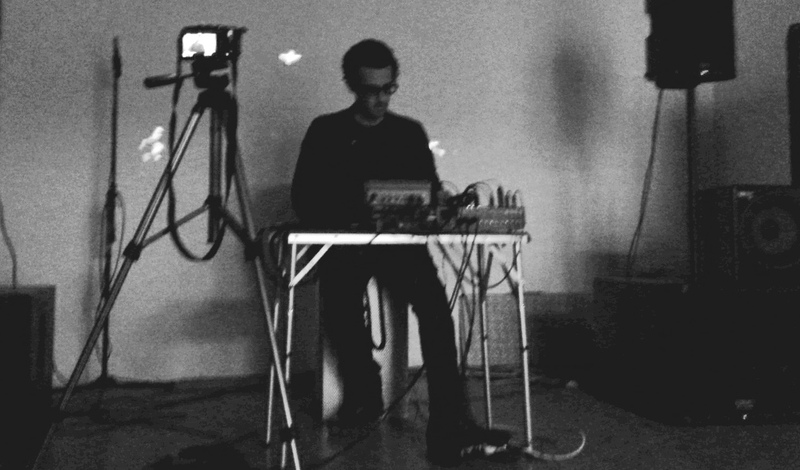 He is one of the Los Angeles’ finest noise artist. He continues his great contribution for noise scene, LA, which is playing noise as DJ on KXLU. Also, he introduced many Japanese noise. That show was where I heard Keiji Haino’s Hurdy-gurdy piece for the first time. I was astonished and blown away. I found the low frequency noise very interesting. One time, I had an opportunity to visit an power plant. The low-pitch noise from the turbine made me sick. On the other hand, like his noise, some of low noise feels good.